They will bring a wonderful collection of vintage classics, to quirky remixes from the 1920’s - 1940’s. Songs include ‘Doop’, ‘Miss Kiss Bang Bang’, ‘I am a good girl’, ‘All that Jazz’, ‘Why don’t you’. 2, 3, or 4 of our fantastic cast can meet and greet your guests before your event. They will then perform 2 - 3 dance numbers throughout your evening. 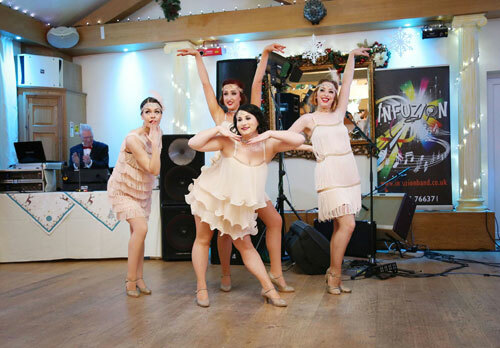 4-6 dancers will perform a non stop Charleston Fuelled 20 minute dance show. As part of this package is our audience participation section. 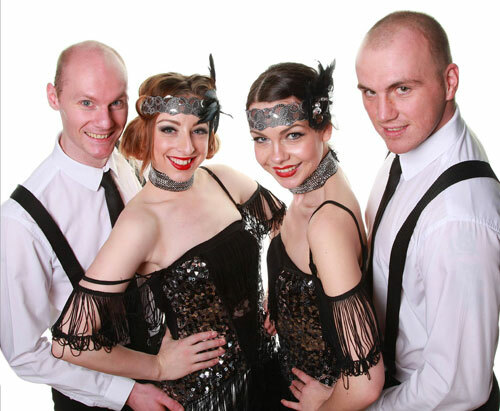 Where our Gatsby Glamour team bring the audience on stage with them to learn a short routine. 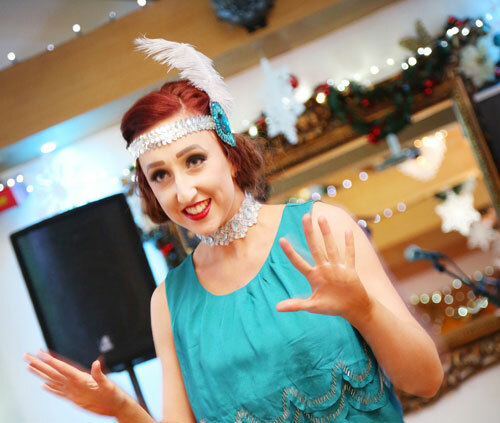 A fantastic crowd pleaser ensuring your guests fully participate in the whole theme of the evening. A roaring 40 minutes of non stop 1920's song and dance. 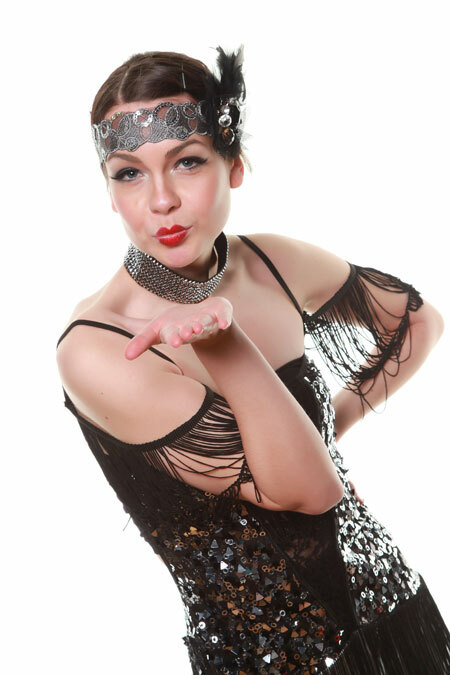 Performed by a female vocalist accompanied with 3-4 flapper girls this show will be sure to have you swinging your pearls and shaking your feather boas. This fast paced show brings you everything 1920's and more! 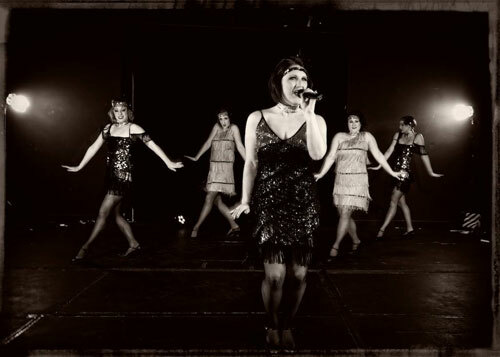 A cast of 5, two vocalists and three dancers bring you 1920's musical numbers, vintage cabaret routines, traditional charleston, modern versions of classic songs, along with feathers, glitz and glamour. 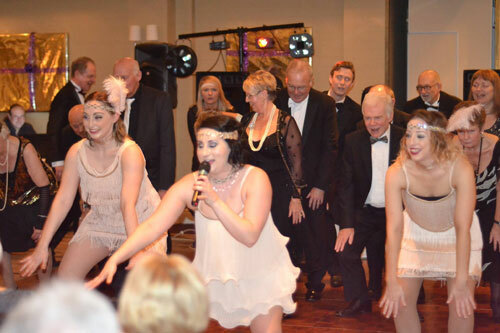 Audience participation section is included in this show so don't worry your guests will be dancing on the dance floor with our Gatsby Glamour cast.